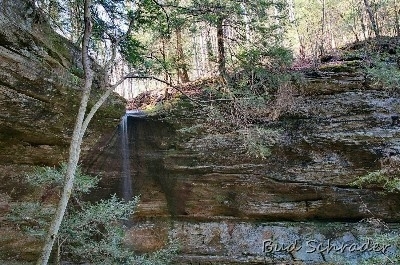 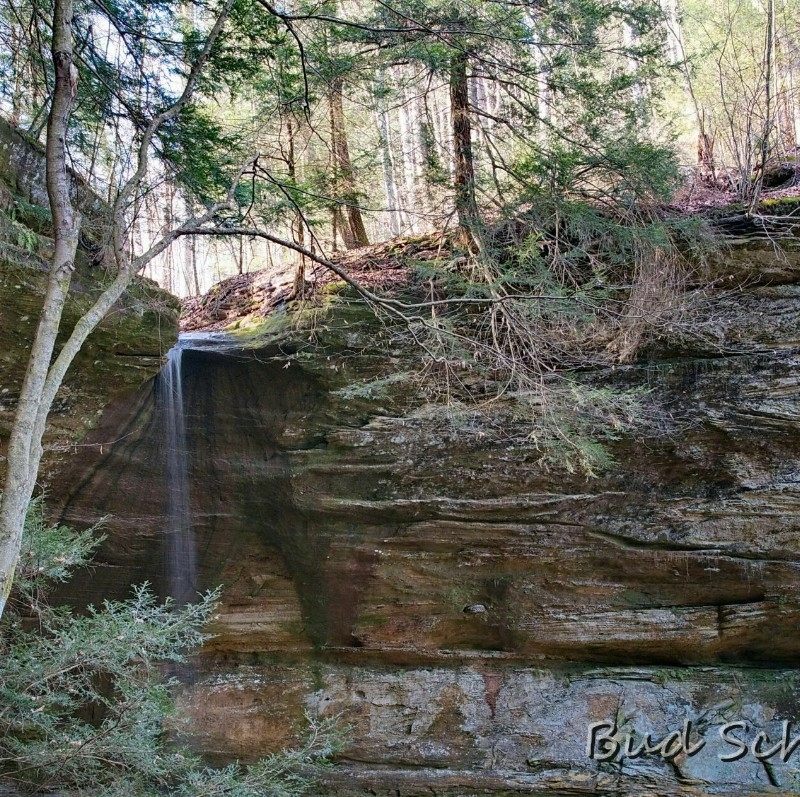 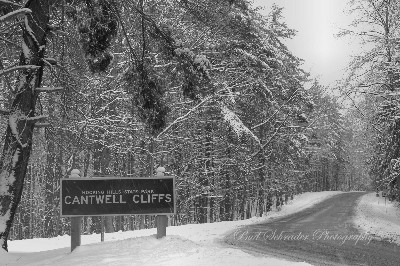 Cantwell Cliffs is located in the northern reaches of Hocking Hills - 17 miles from Old Man's Cave on S.R. 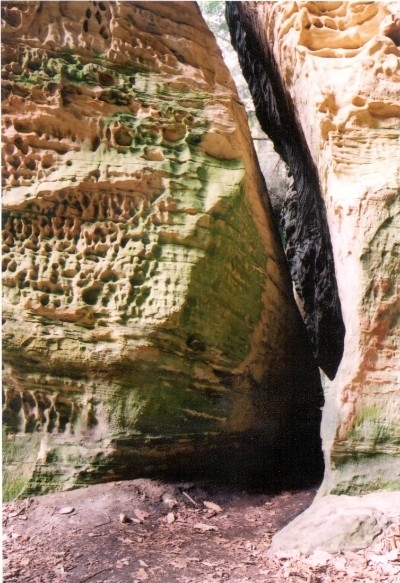 374. 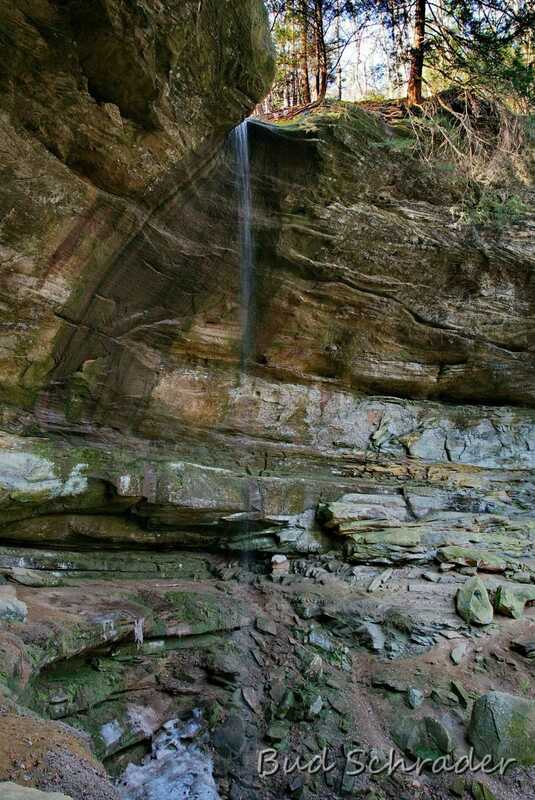 Its remote location discourages visitation, but those who travel the extra distance will not be disappointed. 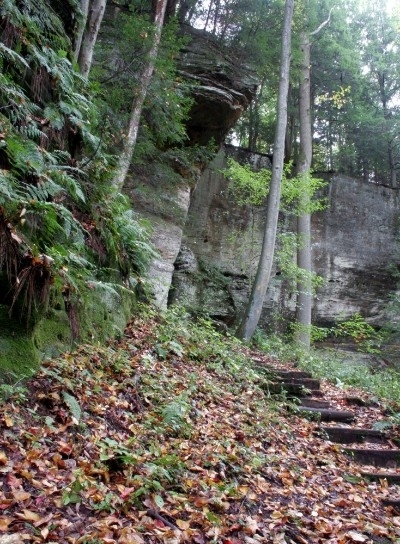 Many visitors proclaim the Cantwell area as the most picturesque in Hocking County. 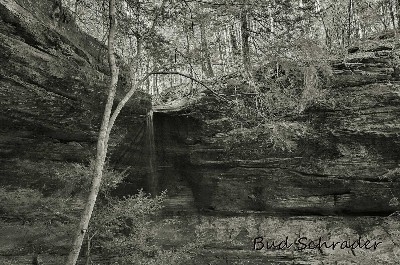 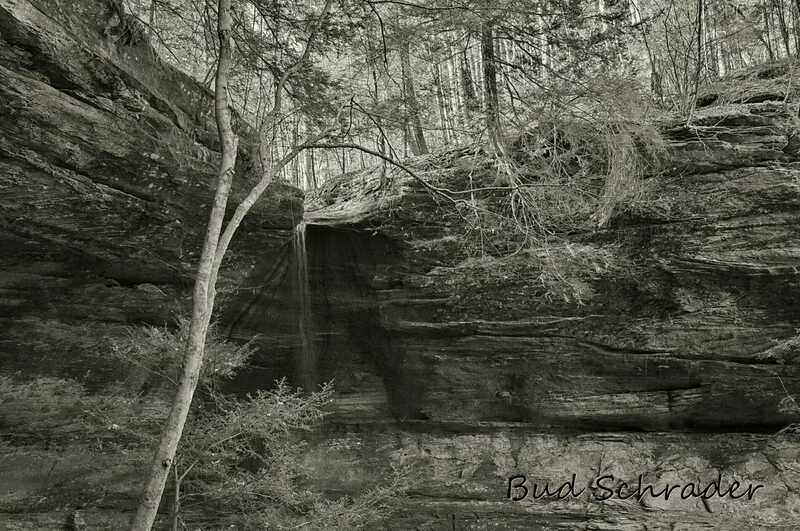 The erosion caused by Buck Run accounts for the deep valley, steep cliffs and rock shelter under the cliff. 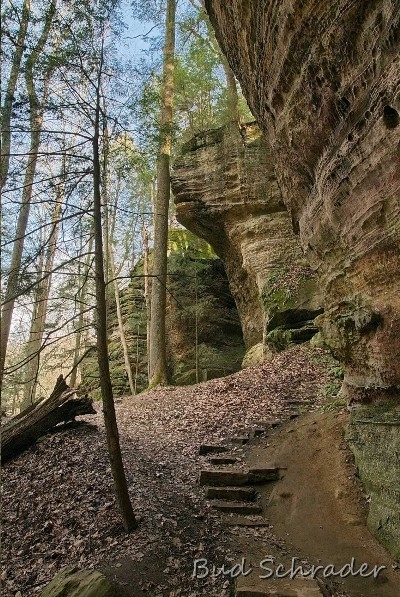 Approaching the rock shelter, the trail winds its way through narrow passageways caused by large slump blocks that have fallen away from the main cliff. 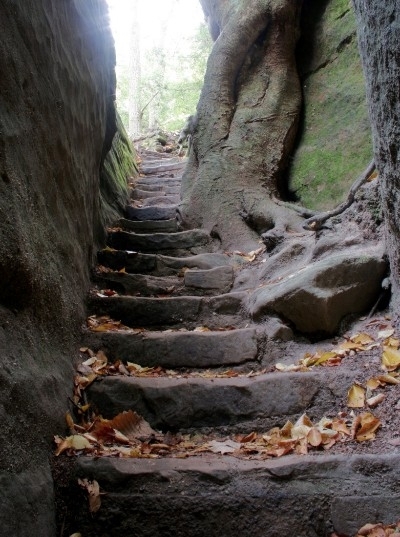 The most narrow passage has been sarcastically named Fat Woman's Squeeze. Unique to the Cantwell region is the limited amount of cross-bedding in the middle zone of the Blackhand. 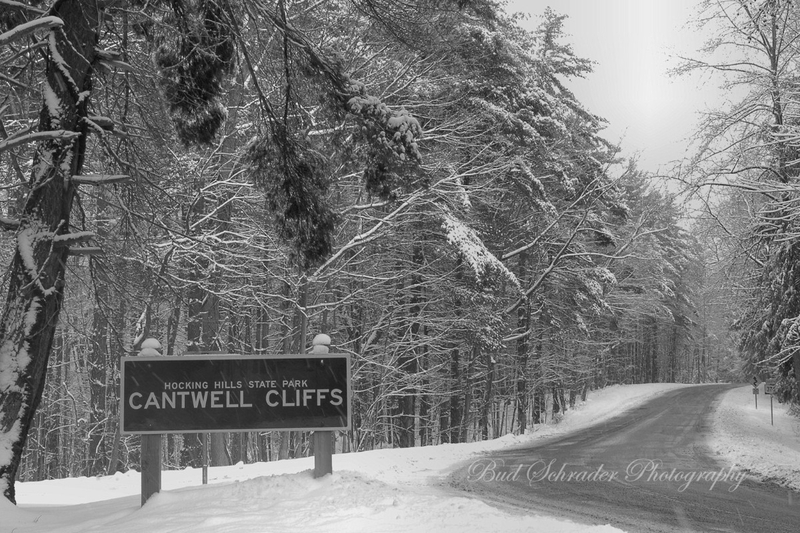 Usually the middle zone is extremely cross-bedded but only slightly in the Cantwell area. 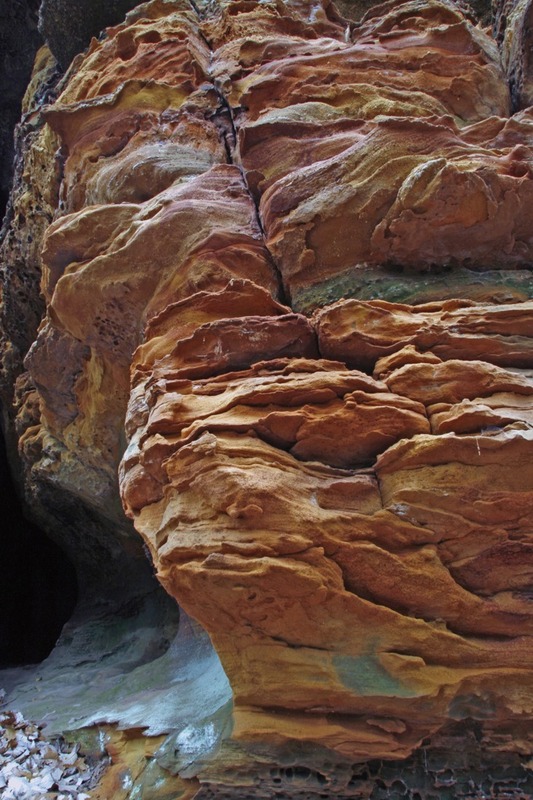 Another feature is the number of concretions that occur on the cliff face. 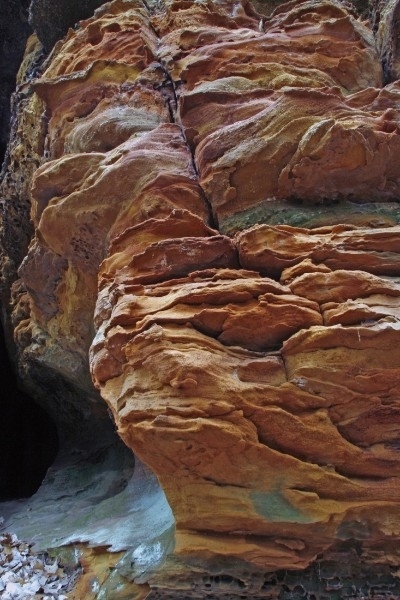 Concretions occur where the cementing agent, iron oxide, has been concentrated to such an extent that the sandstone has been discolored to a dark reddish-brown. 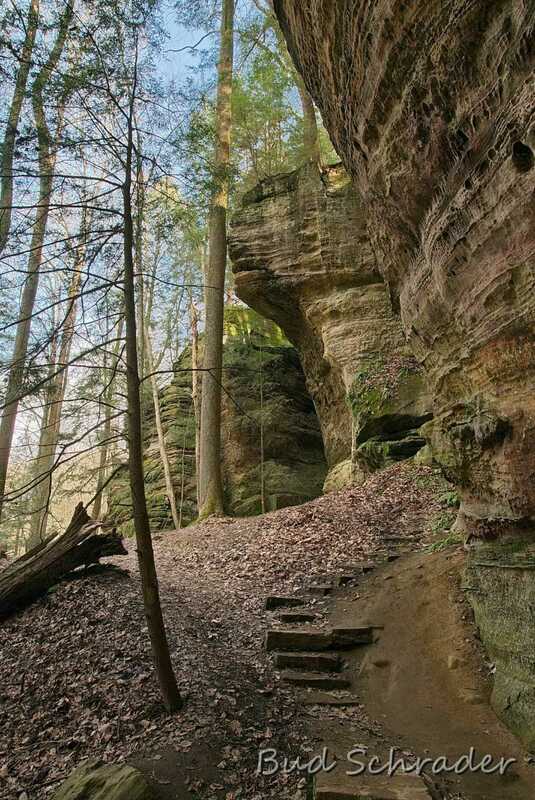 One can choose to follow the trails of the valley floor or the rim. 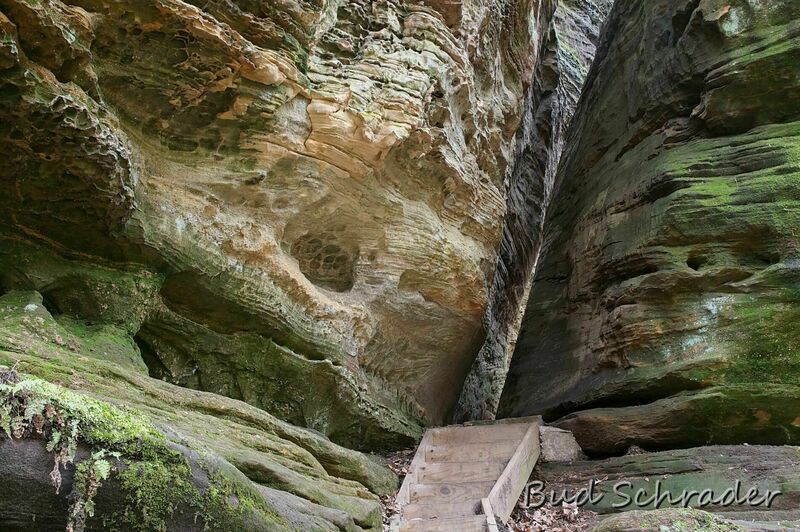 A commanding view of the cliff and rock shelter is offered at Lookout Point on the east Rim Trail.